In Berlin they have been marking 20 years without their wall, in Belfast the division of the city remains set in concrete, wire and fencing. But that does not mean people are happy with the status quo. 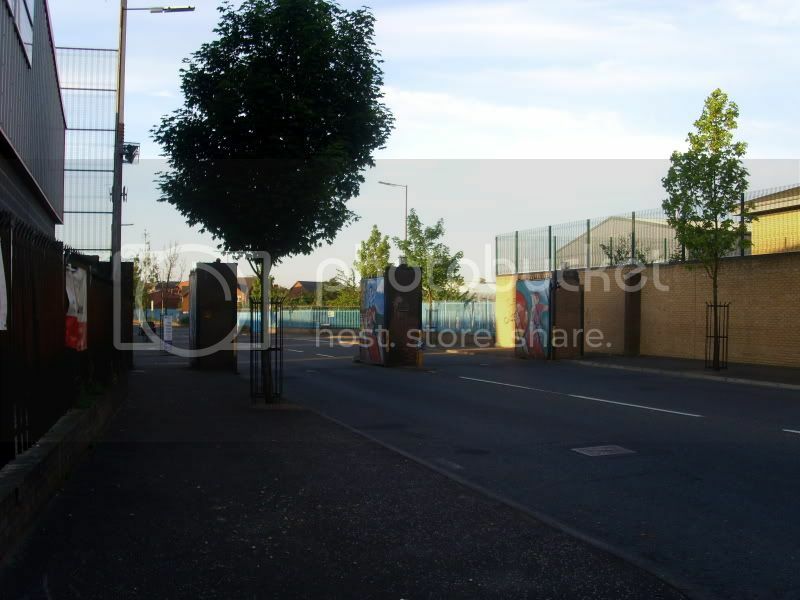 On Monday, a group of youths gathered at the peaceline on Lanark Way, which separates the Protestant Shankill Road from the Catholic Falls Road. Andrea Maskey, from Falls Road said that the walls should be removed. Matthew McMullen from Springmartin said that only when people came together would the walls fade into the past. “They’re protective but I don’t like the sight of them, I would prefer them to come down,” he said. The walls were a symptom of the “division and fear” that remained between the two traditions that dominate the city.